One of my favorite things about creating layouts, is that even though I use a lot of the same elements on my pages, I can always get a different look for each layout. Sometimes I may use a White cardstock background and go with a less busy look, while other times I just go all out and add a lot of patterned paper and embellishments. 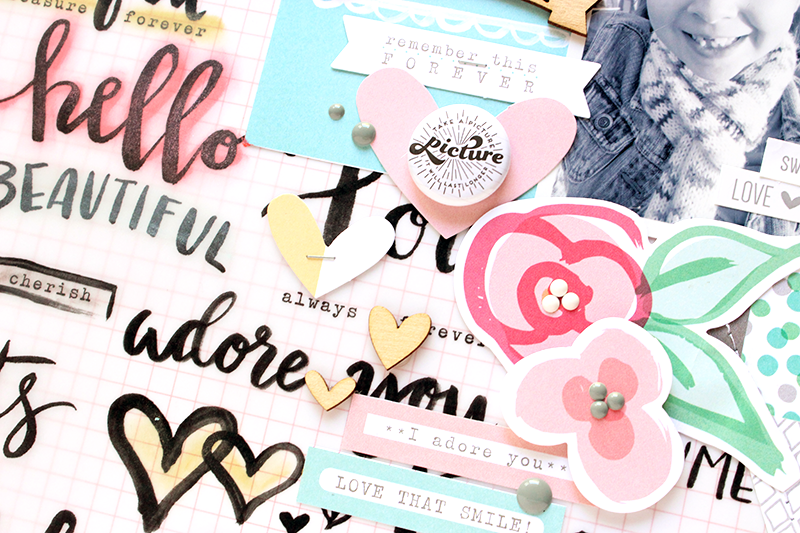 I took the latter approach for the new layout I'm sharing today for A Flair for Buttons, using Flair Buttons from the Capture the Moments Flair and the Just Hearts 2 Flair. 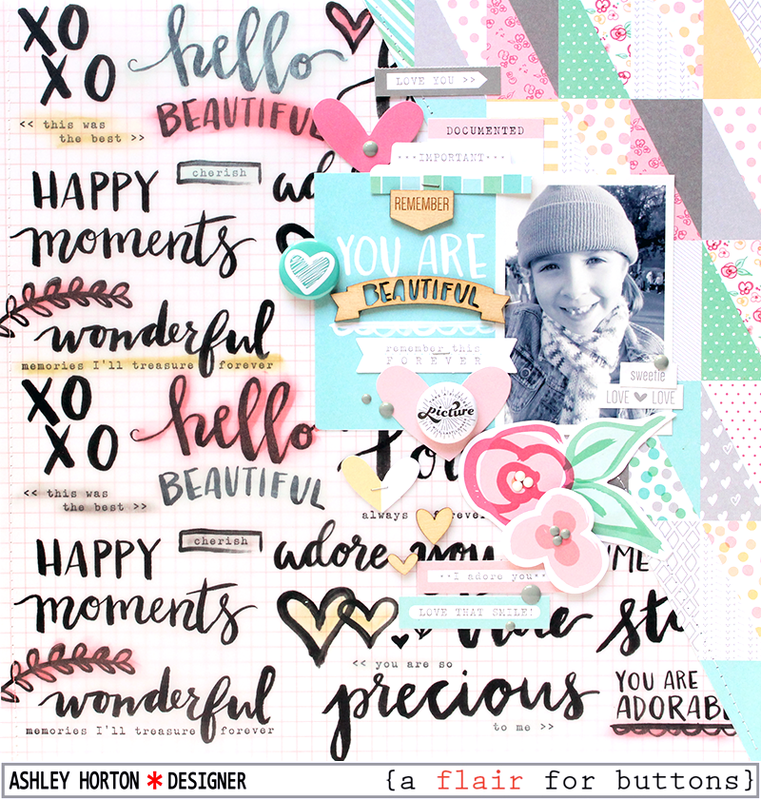 I used a patterned paper and printed vellum from the Elle's Studio Cienna collection to create a diagonal design on my layout. After adding my photo and a printed card for my title, I used that diagonal line to add my Flair Buttons and embellishments. I decided to add both of the Flair Buttons close to the title and photo, to add weight there and draw your eye. The Flair Buttons give just the right amount of dimension on the page to make the title and photo the focus when you look at the page. 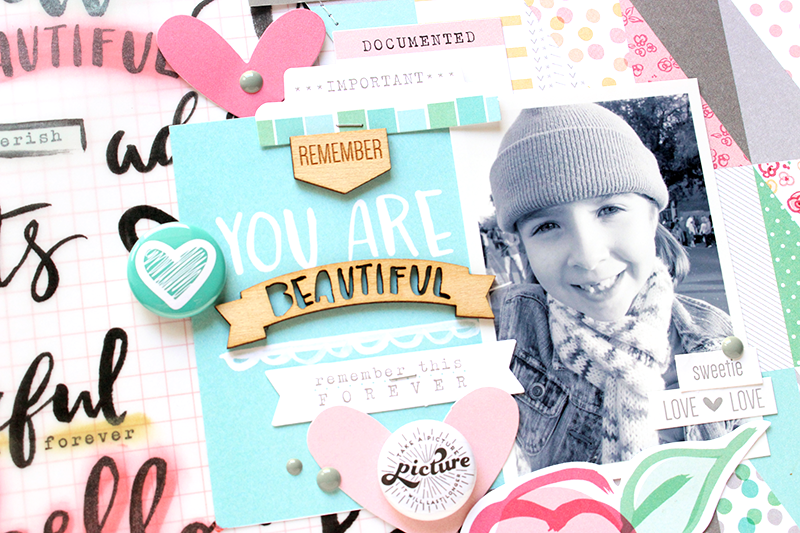 This is a great way to keep your photo at the center of your layout, when you are working with a busy design! You can find both of these Flair sets currently in the A Flair for Buttons Shop! And make sure you stop by to check out all of the amazing sets that are listed in the Shop.